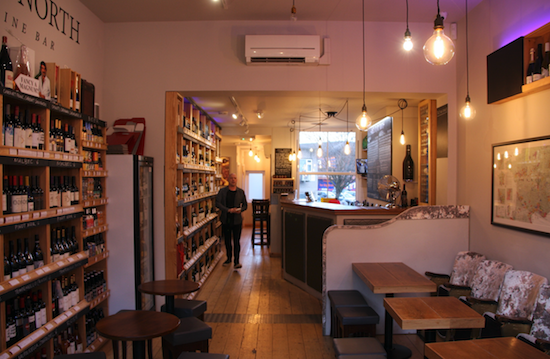 There’s a picture of the playwright Robert Bolt above the bar at Cork of the North, a hybrid-style wine merchant in Sale, on the south of Manchester. A blue plaque high up on the wall outside reveals the reason: the town’s most famous son, the writer of A Man For All Seasons – about the life of Thomas More – and the screenplays for Doctor Zhivago, Ryan’s Daughter and Lawrence of Arabia, was born in the property long before wine shop owner Marc Hough set up his business two years ago. Hough has resisted pinning up pictures of some of Manchester’s more recent cultural icons, though he did consider putting Mark E Smith of The Fall on display as a mark of respect after he died in January. That was until Hough reminded himself that the last time he’d seen Smith, the singer had thrown a can of cola at him and berated him for his choice of music. To be clear, Smith wasn’t sipping on a glass of Malbec and enjoying a slice of cheese in the shop at the time. The incident occurred while Hough was executing the other half of his dual professional life, as the tour DJ for iconic Manchester band New Order, the group whose early career helped bankroll the city’s legendary Factory Records and the Hacienda nightclub. “I still do stuff with them but, of course, it’s very much a part-time job working with New Order, so I needed to find something else to do with my time,” says Hough of the decision to slow life down – a bit, at least – to enter the burgeoning independent wine merchant market. “I started DJing in about 1987 in the Hacienda and got to know the band. I’ve been their tour DJ for about 20 years or so. “It was a great life. I’ve travelled all round the world and had some great nights and a lot of fun, but it is a young man’s game. “Running a wine shop and a wine bar does mean you have to work some late nights, but not quite as late as when you’re working the clubs. Sometimes the parties could go on for days.”The decision to keep the famous Manchester bands that his DJ career has brought him close to off the Cork of the North walls is understandable. Why would you want to embarrass your customers? “Members of New Order, members of The Smiths, members of The Fall, members of The Happy Mondays, members of the Inspiral Carpets, all buy their wine from me,” says Hough. Hough’s family also features heavily in the more immediate backstory of the business, which started out as a private client operation. “I had five customers initially: myself, my dad, my brother and two friends. It grew kind of organically by word of mouth. I started a website and set up a wholesale business and started importing my own stuff. “The logical progression was to open my own shop. Nowadays it’s very difficult to just have a retail offering so I’ve gone for the hybrid – but without the tasting machines. I know they’re very successful for a lot of people. Vagabond in London are taking over the world with them, and good for them. It works in London, but personally I really dislike them. Instead, Hough favours Coravin and Verre du Vin to preserve up to 50 opened bottles, of which 20 appear on a formal by-the-glass wine list, drawn from a retail selection that’s displayed by grape variety rather than country or region. “I’m constantly questioning whether I’m right to do it that way, but I think it’s more user-friendly for the customer. If you do it by country people will go to New Zealand Sauvignon Blanc and never go anywhere else. We’re saying we’ve got some fantastic French and Chilean Sauvignon. It gives people an opportunity to try new things. Hough also takes his wine educational skills with him when he goes back on the road with New Order. “Nowadays backstage at a gig there will be a little impromptu wine tasting after the soundcheck,” he says. “I’ll bring a load of bottles in, we taste what we want and then say we’re having that one afterwards. Do the gig and we’re all drinking fine wine. 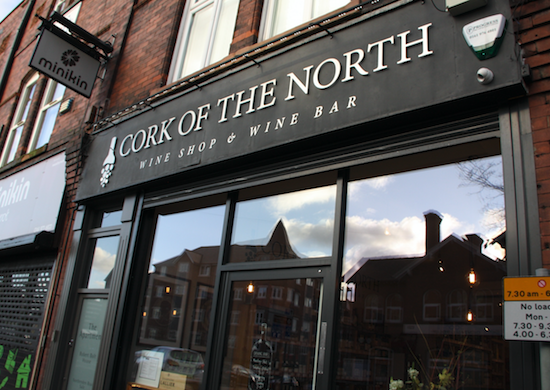 Cork of the North hosts two big wine fairs a year in Sale town hall for 500 people, and runs three or four tastings in-store each month, some played straight, others a little more tongue-in-cheek. “We do sensible themes such as Malbec or Sauvignon, but the thing we had a lot of success was the Wine & Crap Crisps evening. We all like eating crisps with wine – they do seem to go very well. But when you’ve eaten all the crisps and still got a bottle of wine left, what are you going to do? You go for the kids’ crisps. “But kids only like crap crisps, they don’t want Kettle Chips. One time, the only thing I could find was pickled onion Monster Munch and it got me thinking about what would go with what. So the idea was spawned. We scientifically matched Frazzles, Wotsits and so on… Frazzles and New World Pinot Noir, spicy Nik-Naks with Riesling. It really works.